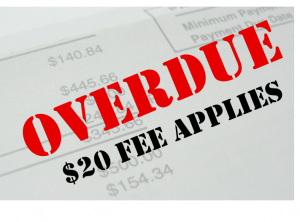 The end of the $20 late payment fee? The TCP Code prohibits arbitrary ‘credit management charges’. In other words, a telco can’t just slap a fixed late payment fee on an account ‘because we say so’. The ‘good old days’ of an arbitrary $10 or $20 or even $30 surcharge on overdue payments are over. Credit Management Charges: A supplier must not impose Credit Management Charges unless the Charges are a reimbursement of the Supplier’s costs and the Customer or former Customer is advised of its amount or method of calculation. Note that a late payment charge is still allowed, and that $20 might be OK … if it represents a genuine reimbursement of the supplier’s costs. If you make a charge, it has to reflect some real cost you have incurred because of the late payment. If the truth is that you’ve done nothing, and incurred no cost, you can’t just award yourself a windfall $20. In the past, some State regulators have been comfortable about a supplier working out a reasonable estimated average cost for different kinds of customer default, based on a costs analysis. Whether that will be ACMA’s attitude remains to be seen. But what’s clear is that a telco may not pick a number out of the air and apply it as the ‘fine’ for late payment. This entry was posted in Credit & Debt Management, Customer Contracts and tagged late fee, late payment fee. Bookmark the permalink.